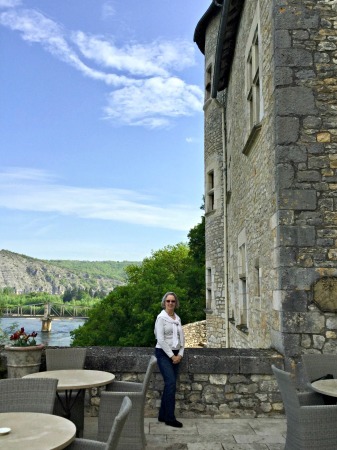 “It’s on my bucket list,” several of you responded after you saw my photos on Facebook and Instagram and read last week’s blog, “Not Quite Solo Travel in the Dordogne.” However, most of you are not ready to do what I did—fly alone to France and spend a week or two by yourself. What are your options? 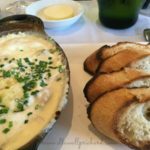 Plan an extension after a group trip to Bordeaux, Biarritz or even Paris. The Smithsonian Institution and the National Trust for Historic Preservation often offer one-week stays in Sarlat. Lev and I took both domestic and international trips with both groups, and I have traveled with them since his death. When I began blogging I wrote a series, 14 Tips for Safe Solo Travel. Number 1 on the list: “Find a friend with similar interests and budget OR join a nonprofit organization with a strong travel program OR select an experienced travel agent who can recommend appropriate tour operators…. Overall, I find that travel with nonprofit affinity groups is most satisfying. Many cultural organizations offer travel experiences for their members and donors. They range from the vast array of tours and cruises offered by the Smithsonian Institution and the National Geographic Society to alumni groups to local museums. In my experience, these are more welcoming groups than the luxury commercial operations. I no longer fear joining a group of strangers, for I know they won’t stay strangers long.” While most—there are grand exceptions—are less luxurious, they are well planned and well vetted, with outstanding lecturers and guides and interesting, curious, educated participants. 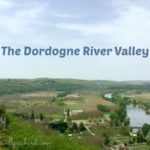 The Smithsonian also includes a stop in the Dordogne in a more comprehensive tour of France, and more active travelers can find walking and bicycling tours of the area. The region is hot and crowded in summertime. 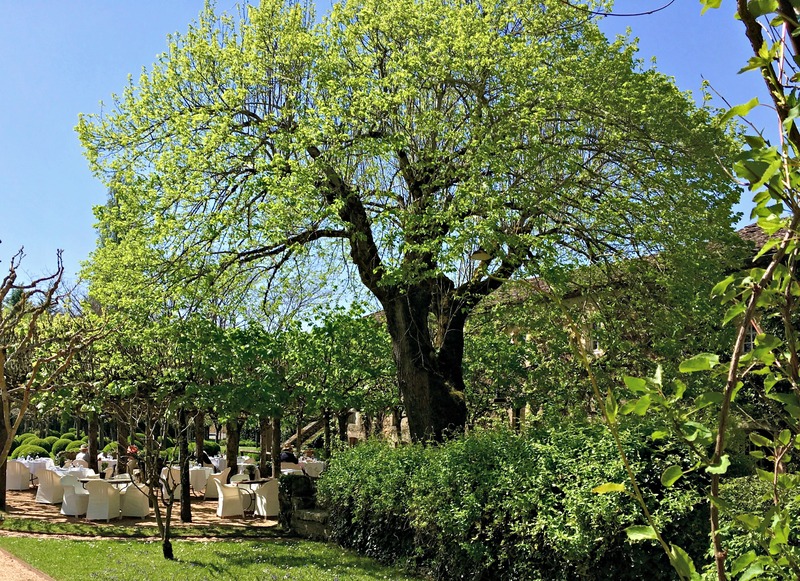 French families come to camp and enjoy outdoor activities in this rural, heavily forested region with wide, lazy rivers that offer myriad water activities; while Germans and British pour in to enjoy the hot, sunny weather. Though the weather was perfect when I was there in late April and almost everything was open, early May has more dependably good weather. While September and October don’t offer the gorgeous flowers of spring, the weather is excellent. In the western part, the wine harvest takes place from September 15 to October 15, about the time the grapevines and forests turn to the brilliant colors of autumn. Because I am an American Aadvantage cardholder, I work hard to maintain my Platinum status. My only good choice for one-day travel in both directions was from DFW to Madrid, then Iberia to Bordeaux, two hours to the west of Sarlat. United travelers can connect to Air France through Paris, and numerous European budget airlines offer flights to Bordeaux and even to nearby Bergerac. It never occurred to me to check flights to Biarritz or Toulouse, south of the Dordogne, but they are options as well. As I have learned in my multiple attempts to visit the Amalfi coast of Italy, it is often easier to treat trips to secondary areas as detours rather than free-standing trips. Within Europe, every major city has flights to secondary cities, often on budget airlines; and if you travel light, trains are often a better choice than airlines. I have found that good hotels will hold a suitcase in storage and send me with a driver to the train station, where he will get me seated in the right coach with my luggage. It’s just as easy to arrange a driver at the arriving station as at an airport. The fast train from Paris to Bordeaux is only two hours, and there is rail service to the Dordogne. You have many options. Driving in France is easy if you arm yourself with a good road atlas or Michelin maps and avoid driving in Paris. Lev and I preferred the back roads to the autoroutes, but the latter are excellent, especially if you want to cover long distances in a hurry. The big decision: whether to drive through the Dordogne in a trip from Point A to Point B or to make a loop, as I did from Bordeaux on my trip. Generally, that’s the most cost-efficient way to travel, since returning a rental car to a different location is costly; across borders, almost prohibitive. From Biarritz you can also explore the Pyrenees and cross the Spanish border to visit Bilbao. From Toulouse you can take a more easterly trip to Albi (even Carcassone) and north to Figeac before heading to Rocamadour and on to the Dordogne region. In 1994, when we were in our 50s, Lev and I planned a grand, two-week drive starting in Bordeaux and through the Dordogne down to Biarritz, east along the Pyrenees to Toulouse, north through the Lot River valley and on up to Limoges, Poitiers and Tours, on the Loire, to Paris. 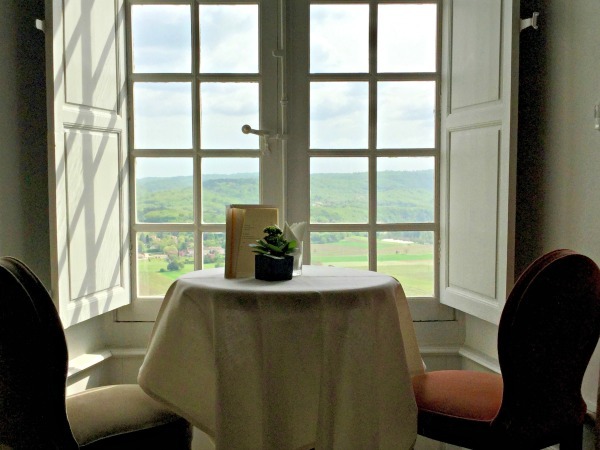 On our driving trips through France, we covered about 150 km a day, stopping to sightsee along the way and stopping every night—sometimes two—at a different country hotel. Today I like a slower pace, with fewer moves. 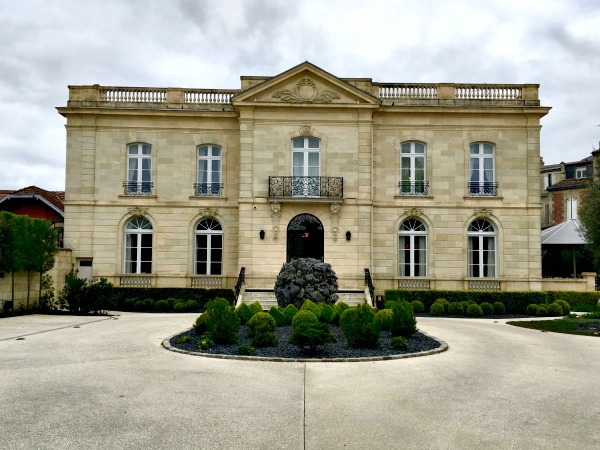 In Bordeaux I stayed at La Grande Maison—a restaurant in a neo-classical mansion with six rooms upstairs–for three nights, where I was treated like a queen. However, it was a long walk to cafes, restaurants, shops and the historic center. 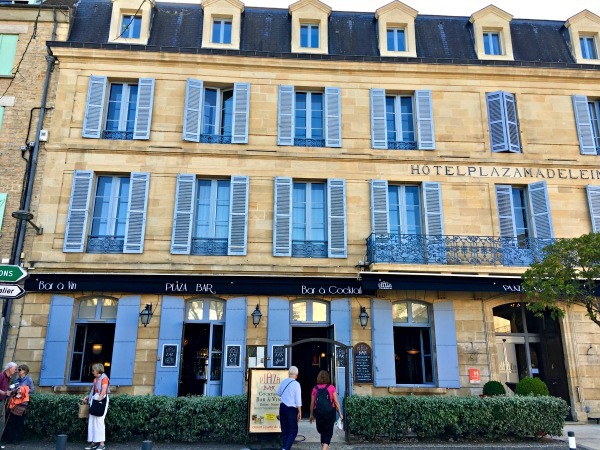 I stayed at a lovely, updated, very French hotel, the Hotel De Seze, closer to the center,the night before I flew home. However, I think the most central hotel, with the best public spaces, is the Intercontinental Le Grand Hotel, with a Gordon Ramsay sidewalk café overlooking the opera house. Sarlat-le-Canéda is a lively village in the heart of the Dordogne region, with a multitude of shops and restaurants and good roads leading in every direction. If you aren’t driving, this is the best location. The Plaza Madeleine is in the heart of the historic district and appears to be the hotel of choice for most tours. The English-speaking staff were helpful, full English breakfasts excellent, the bar/lounge—with light meals available—a great place to end the evening and the price was right. If I had a car, I would be tempted to stay at a gite, the rural French version of a B&B, or rent a vacation house for an extended stay. There are hundreds in the area, many created from abandoned stone farm buildings. I would have loved to stock up on local cheeses, breads, foie gras, charcuterie, vegetables, fruits and wines in the market. But my dream trip would be a driving trip from Bordeaux, staying at three Relais & Chateaux hotels for two or three night each. Chateau de Mercues, overlooking the Lot River valley, the medieval summer home of the counts and bishops of Cahors. 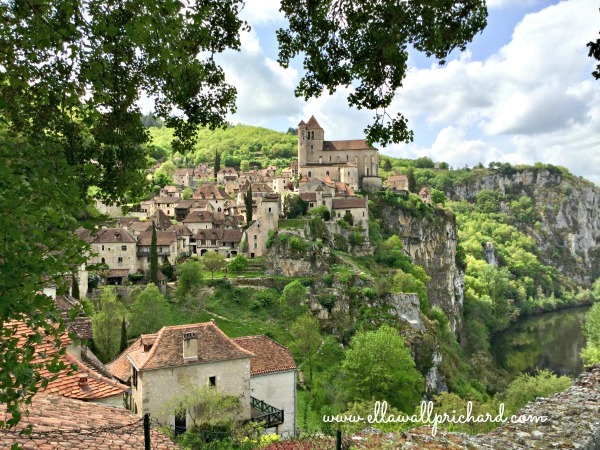 Spend a day driving east along the Lot, easily as beautiful as the Dordogne, and take time to explore Saint-Cirq-Lapopie, pictured at the top, perhaps the most charming hillside town of them all. From here you can return to Bordeaux or drive south to Toulouse. For additional information: Amazon lists numerous travel guides to southwestern France, and I find that an ebook downloaded to my iPad is more useful and up-to-date than a printed guide. However, the Bruno, chief of police, detective stories by Martin Walker—set in an imaginary village near Tremolat—were the most informative and delightful guides of all. Bruno has his own website, complete with tourist information. Enjoy!